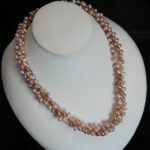 Neck measurement required: Using a tape, measure base of neck where choker will sit, allowing one finger space for breathing room! Any problems entering the size, please enter into Notes instead. 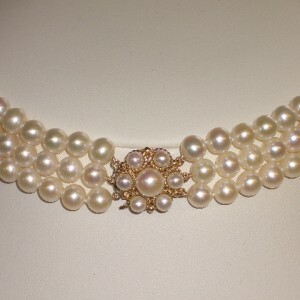 Classic Rosette pearl choker made using a 9ct yellow gold Rosette clasp set with 7 cultured freshwater pearls. 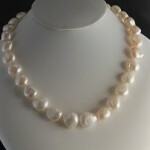 This lovely classic pearl choker is a 3 row fully knotted necklace, hand strung in our design workshop onto silk threads using beautiful hand chosen 6.5 – 7 mm cream cultured freshwater pearls, matched for size, colour and lustre. 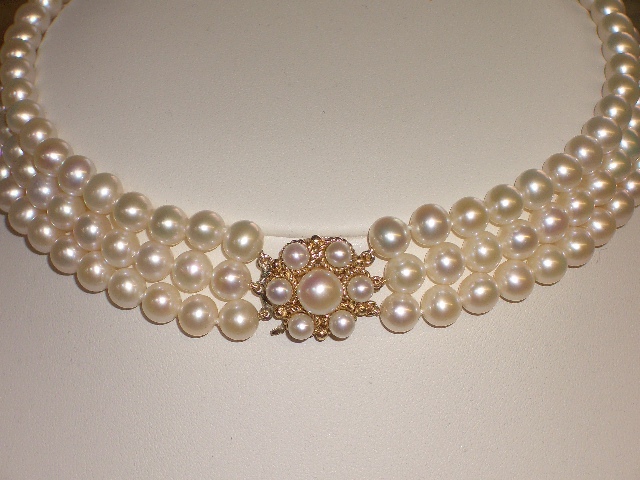 This pearl choker can be worn to any event where elegance is the name of the game. 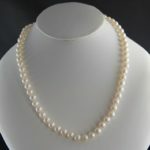 This pearl choker is made by hand to order, so we are able to use your measurements to ensure that your pearl choker will sit comfortably at the base of your throat. Simply use a tape measure and allow a fingers breathing space. 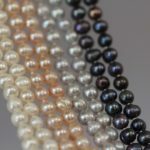 If you aren’t sure, please call us and we will help you. Any problems entering the size, please enter into Notes instead.